General Description: Dunton Hot Springs is an amazing historic meticulously-restored ghost town resort. This is an amazing five star back country hot springs hideout. You will find this gem nestled against a backdrop of the rocky San Juan Range set in an extraordinary alpine valley where the West Fork of the Dolores River flows. This one of a kind hot spring refuge has 13 luxurious cabins and an a rustic but refined old time western saloon. Everything is all inclusive at the resort, including food, drinks and alcohol. Reservations are highly recommended. Accessibility: Dunton Hot Springs is very accessible in the summer. You can drive right up to the resort. Once at the resort it is an easy walk. The facility is handicap accessible. In the winter the accessibility can be challenging. Snow mobiles are recommended. 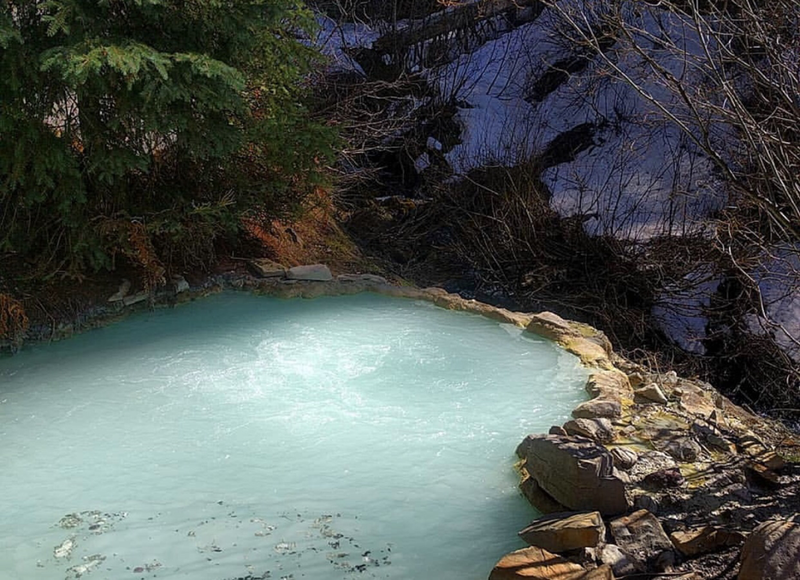 Hot Springs: ​Dunton Hot Springs has six ways to soak. The hot springs range in temperature from 85°F to 106°F. There is a restored 19th century Bathhouse. Outside the bathhouse at the source there is a hot springs to soak. There is a pool outside the Bathhouse. There is a hot springs pool behind the Dunton Store. Another hot spring pool is inside the Well House cabin. And there is a hot springs on the river called Christoph's spring. 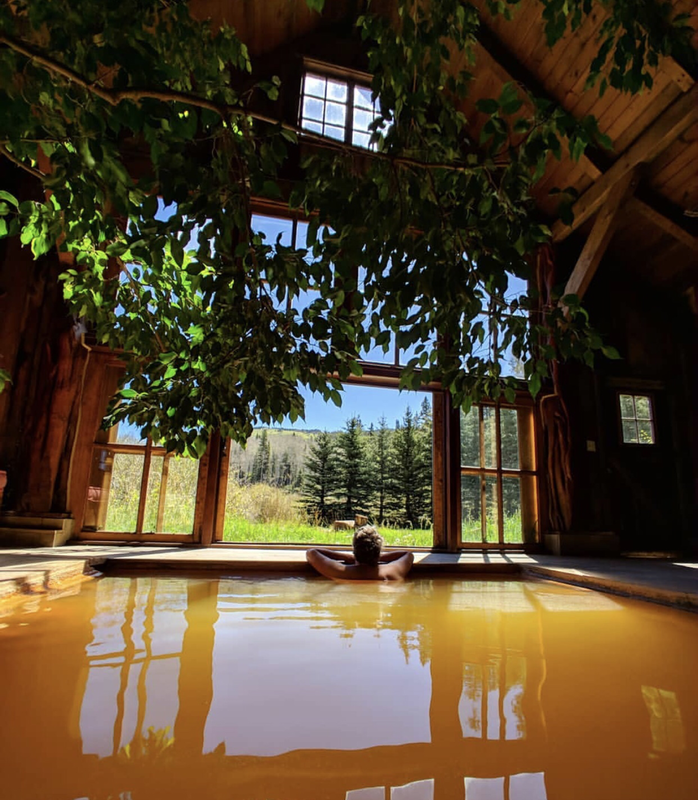 The mineral springs are of the calcium bicarbonate with a strong concentration of dissolved iron and manganese and some lithium.​ The Wellness Cabin has its own private hot springs bath available. Dunton Hot Springs has Colorado's only Geyser (a tepid sulfuric spring) it bubbles up every 45 minutes. Hot Spring Tips: Reservations are highly recommended. Everything is all inclusive at the resort, including food, drinks and alcohol. The resort provides high speed wireless internet access in every cabin. 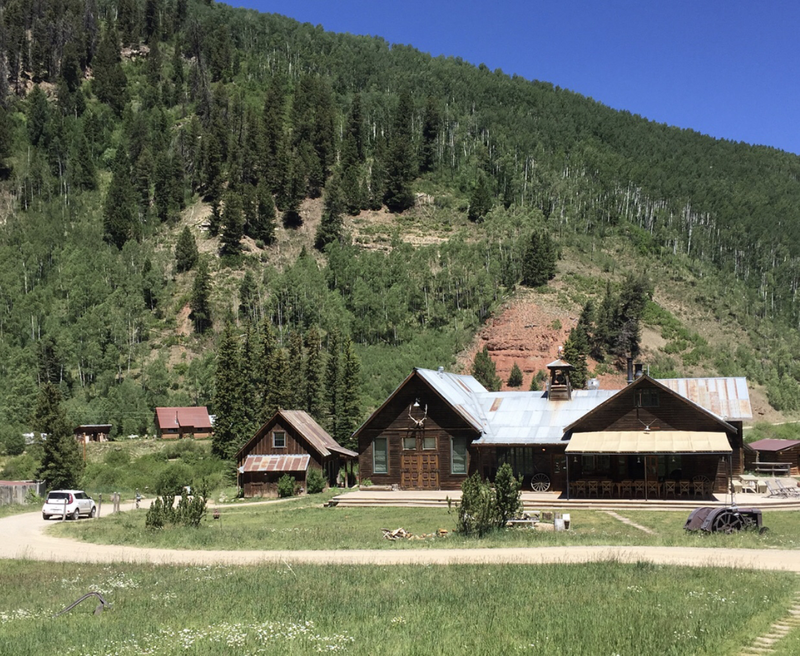 Butch Cassidy and the Sundance Kid went to Dunton Hot Springs after they robbed the bank in Telluride. Some wild animals you may see when at Dunton are : Bald Eagle, Elk, Deer, Moose, Black Bear, Coyote, Fox, Lynx and Beavers. This is a family resort. This resort hosts weddings and retreats. Youtube Video on Dunton Hot Springs is below.